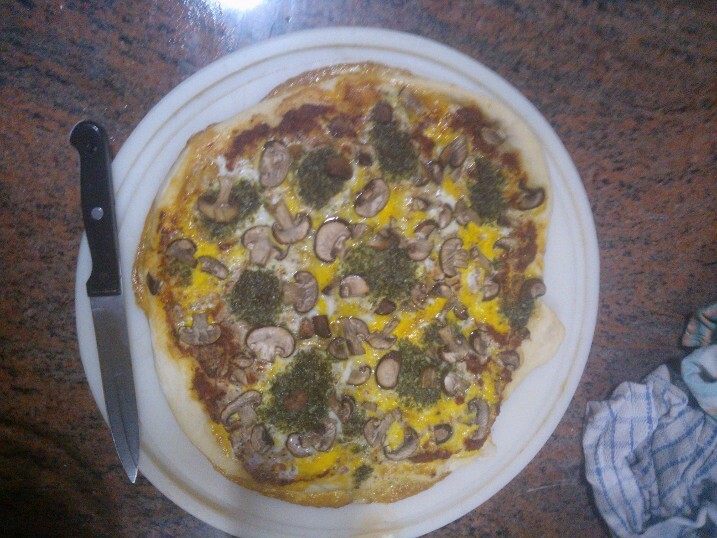 I still had some pizza dough, but I did not have any cheese at home. This below is my attempt at cheeseless pizza. I think it would actually test good, if the tomato would not overpower everything. Maybe next time I should stick with the canned ones, instead of using the fresh ones.